Florida Family Support provides personalized ABA (Applied Behavioral Analysis) services for children (18 months and up) with Autism, ADHD, Prader Willi Syndrome and other developmental disabilities and their families in the Palm Beach and North Broward county. Founder Natalia Perez LMHC BCBA and her team of experienced and skilled therapists demonstrate their incredible passion and understanding with each and every family they work with. Recognizing the importance of the child’s support system and family as a key to the success of behavioral therapy, Florida Family Support uses a multidisciplinary approach by integrating one-on-one therapy with not only the child, but also the family. Training and support groups” are provided for caregivers, siblings, and family members to assist them in handling the difficult times and pressures that may emerge. Most individual counseling sessions take place in the patient’s home and/or personal community where the reality of life exists. Florida Family Support is committed to creating a supportive community focused on training, sharing experiences, building confidence, and strengthening the family relationship. ABA therapy and assessment for children on the autism spectrum and developmental disabilities. Individualized, cohesive plan development and intervention plan (based on needs of the child and family). Training for parents, caregivers and siblings. As your child grows, we will grow with you, providing you and your family with the support it needs. 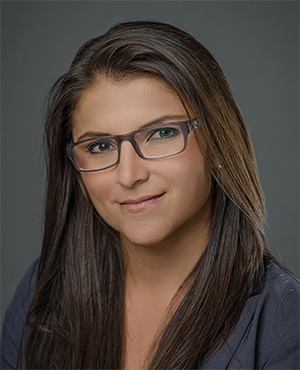 Natalia Herrera -Licensed Mental Health Counselor and Board Certified Behavior Analyst, is the founder of Florida Family Support, a therapy practice dedicated to children and teenagers with Autism and other disabilities and their families. Natalia founded Florida Family Support in 2015 after years of experience working with children with different profiles, and realizing that the family is the most integral piece of the support system. Her practice focuses on providing the needed behavioral therapy as well as family support and counseling to ensure they are prepared to handle the stressors and issues that will present. Natalia meets individually with her therapy clients and leads multi-family support groups. Natalia has worked in the field of mental health counseling for a decade. She received her MS in Mental Health Counseling from Nova Southeastern University after moving to the United States from Colombia, where she studied psychology. In addition she is a Licensed Mental Health Counselor and she is a Board Certified Behavior Analyst. Natalia speaks both English and Spanish fluently. She lives with her family in Palm Beach County, Florida.